I have been writing this post in my head for almost three weeks. 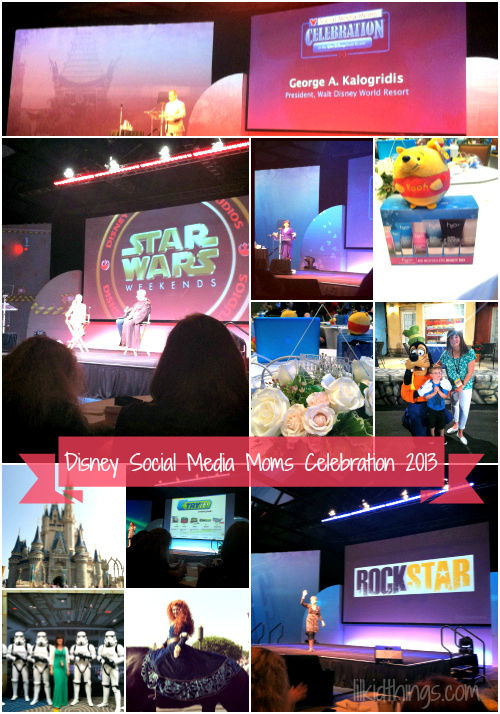 Basically, since we set foot on Disney property for the Disney Social Media Moms Celebration, I have been thinking about how to convey the experience and give you a peek at why Disney has my heart. 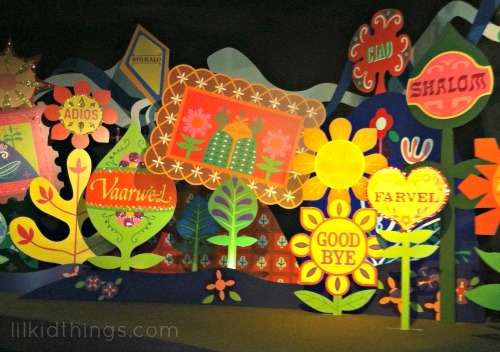 I am certainly not the first person to be wowed by Disney and I know I won’t be the last. Still, there were so many great things to share about the weekend that I don’t really know where to begin. I love how Fadra pointed out the emphasis on the word “celebration” in the conference title, how Melissa detailed the excellence of the conference day with her killer recap, and how Erin’s takeaways focused on playing nice and cultivating a quality community. Of course it helped that I not only got to spend an amazing weekend at Disney World, but that I got to do it with such great friends. I am definitely ahead in the quality community department. Here’s a quick video preview before I dive in…and yes, I totally teared up (and consequently cut myself off). What can I say? Disney makes me weepy. Just like last year’s conference, the team behind the 2013 celebration had thought of everything. From amazing sponsors and presentations about what’s new at Disney this year and beyond, to fun character greetings and even a station to print our own Monster’s University student ID cards. In the spirit of Walt Disney himself, it was clear that the purpose of our conference day was to encourage learning and have fun in the process. My day started at 4:30am as I prepped for the runDisney fun run. And it was nothing short of magical! While each speaker had their own story to tell, the overarching theme of the day was to believe in your dreams while learning from your mistakes. What I came away from the conference with was the resolve that my dream is my own and I have a right to believe in it. I love how Jackie Huba spoke about the unexpected phenomenon that is Lady Gaga and how her relationship with her fan base is the number one priority. Or how Gary Buchanan and Thomas Smith pulled back the Disney veil a little to share how Disney Parks views Social Media. Or how Ashley Eckstein launched a massively successful community for young fan-girls to connect online without fear of being bullied for their interest in things like Star Wars or Doctor Who. I was particularly impressed with the newest Disney offerings like the Disney Story app and the Magic of Healthy Living initiative that focus on family dreams and making sure Disney is a place you can count on to offer options for everyone no matter what their diet. With a healthy portion of shareable quotes from Walt Disney throughout the day, it was hard not to sit back and be amazed at one man’s dream and his ability to inspire so many hundreds of thousands of people to act on some pretty basic principles; play, education, and mutual respect. If I carry nothing with me from the weekend, I will always remember the way the Disney Social Media Team always treated us with respect and encouraging words. 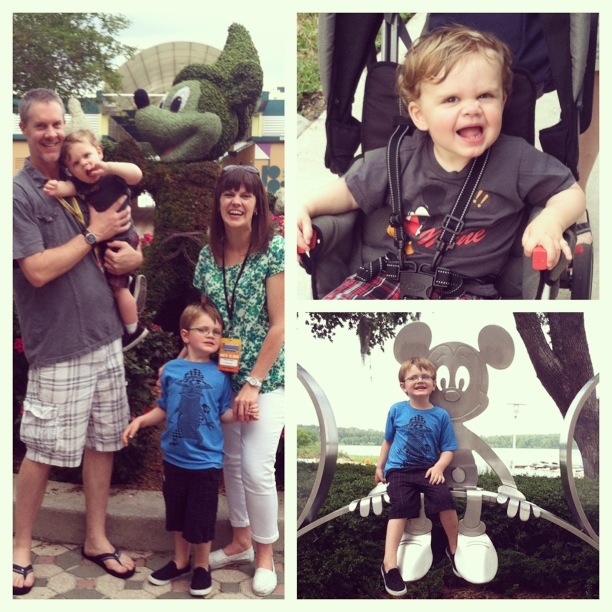 As a mother of two boys, I can only hope to inspire them the way I was and continue to be inspired by the “Disney Difference”. We can’t wait to visit again. But for now, thank you…and……. Disney just uploaded this video recap of our amazing day so I had to share it! LOVE this! I am still writing my posts in my head. So much to say, but I don’t have the words! I hear you. I have SO many more. I had to force myself to start writing and even with this post I feel like I barely scratched the surface. Thanks girl! And no problem. Easy to do when you write awesome stuff!